It’s the holidays and that means we’re all running from party to party or even planning our own. We never want to show up empty handed and we’re often looking for a way to put out a great spread, without a lot of work. This recipe is your solution to both dilemmas. The recipe comes from the long-standing popular Union Square Cafe in New York City and it takes beer nuts to a new level. Hitting on every taste-bud, I guarantee the bowl will be empty faster than the mini-hot dog platter. This salty treat will also make any gifted bottle of wine extra special when you walk through any guest’s door on your party route. Gifting Tip: buy cellophane bags from a party or paper store and tie the bag with a red ribbon that you can hang around the neck of a wine bottle — easy, inexpensive and extra impressive. 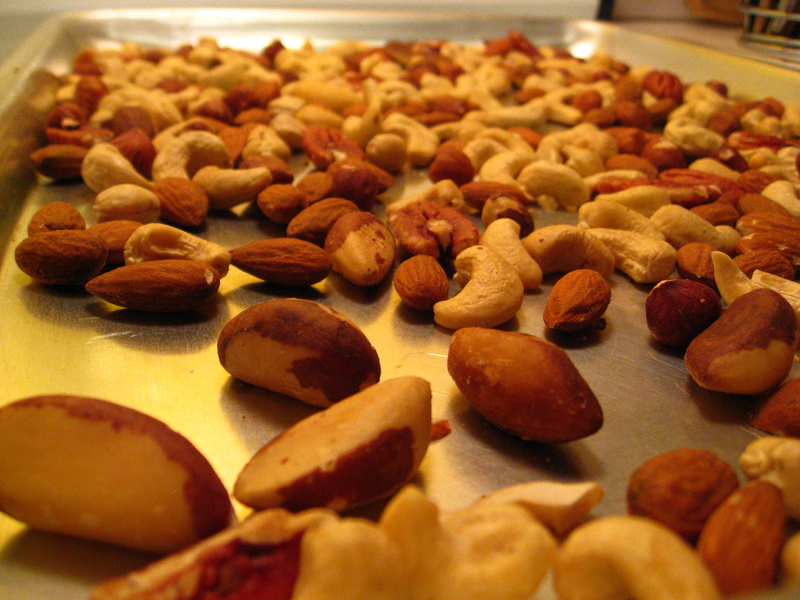 Spread nuts out on cookie sheet and toast for 10 minutes or until just turning golden brown. 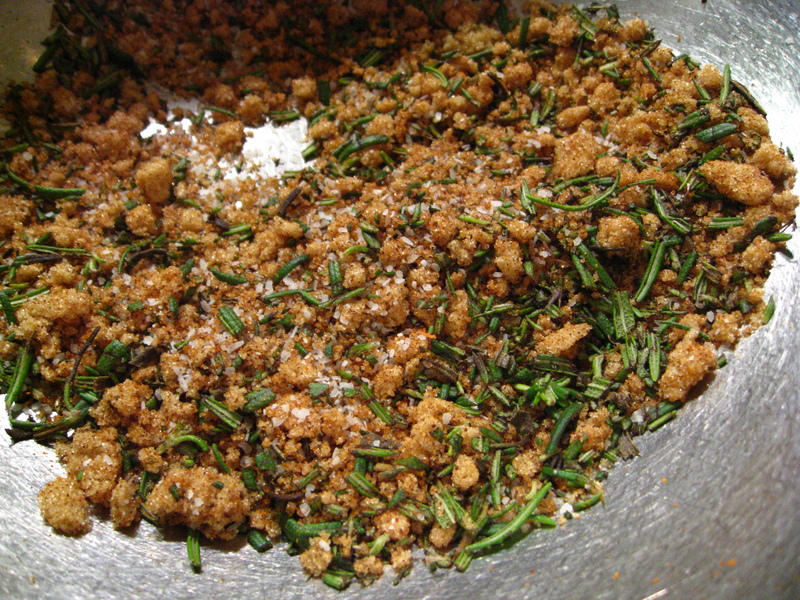 In a bowl combine all other ingredients and combine with nuts while warm. Toss thoroughly until well mixed and let cool before adding to an air tight container or gift bags. Aw Nuts, I Need More Party Ideas! There’s nothing like a good rosemary nut!!! I’ve been experimenting with different spices for sweet and spicy nuts but never tried rosemary, will definitely do so next time! One of my favorite bloggers is back! Yay!!! !